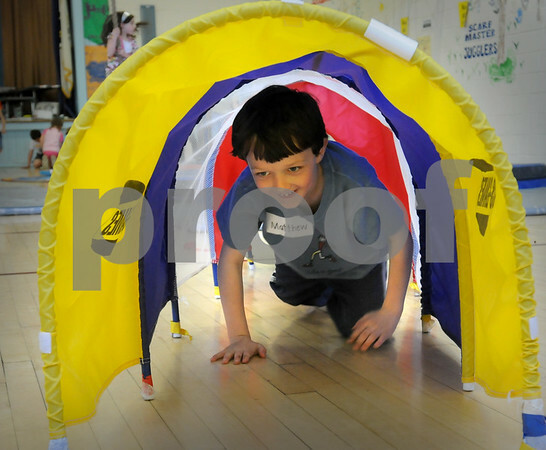 Newburyport: Matthew Quinn, 6, runs through a tunnel during the obstacle course for the Fun and Wellness Field Day at the Brown School in Newburyport on Tuesday. In addition to physical activity events, there were also stations that promoted well-being as the Food Pyramid Relay and a Helmet and Bike Safety station. Bryan Eaton/Staff Photo Newburyport News Tuesday June 16, 2009.